Put down between 55% and 65% and pay nothing for two years. If you decide you want to keep the car afterwards, simply pay the remainder of the balance and you wont be charged any interest. Pay 66,063 for a 460 SE-L at Carfile.net. Thats a massive 5692 off the list price. 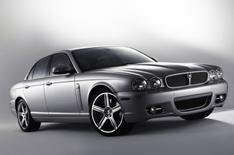 Save nearly 10% on the best luxury car around at broker Drivethedeal.com. Our favourite, the S320 CDI, can be bought for 50,606 a 5279 saving. Theres a guaranteed 5520 saving on the 3.0 TDI that brings the price down to 38,245. For an even better deal, visit broker Motorlogix.com and save a massive 10,635. Youll pay just 32,880.